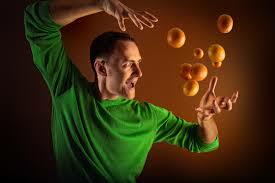 Psychokinesis is the ability to independently affect the matter only with the power of the mind. It is several different types, such as telekinesis – moving objects or pyrokinesis – influencing fire. Psychokinesis is one of the major scientific fields of parapsychology. Anyone can learn psychokinesis. However, it may be easier for some people than for others. It depends only on you. People who emphasize the physical world will have more difficulties than those who daily see the supernatural in the world around us. The difficulty of learning psychokinesis can be compared with the difficulty of learning to play a music instrument. Many people believe that psychokinesis is not possible, but they never even tried. Very often charlatans and scammers have been disclosed and when someone with honest intentions appears, society laughs at him/her. Very few people dare to explore this topic more deeply. Deliberately dare say, because its scary to investigate paranormal phenomena dominated by the unknown. Psychokinesis is a tool by which we perceive the environment in a completely different way. These skills will help us to understand the world better. Through it we discover the full power of our minds and use this power to improve our life and that of society. Abuse of these abilities is not possible. Divine universal device of things prevents any abuse. You will keep your abilities while you do not have any bad intentions for their use. What is this universal security? If you are trying to hurt someone else or get rich simply will not succeed. Developing your abilities in psychokinesis means to continuously develop spiritually. Practice hard and with enough faith because doubt is the strongest enemy on the way to develop your skills. At first these are fantastic abilities. Moving objects through thoughts or influence on the four key elements when you want. The first results are achieved with very difficult practice. There is no magic wand which will make you immediately to practice psychokinesis. It needs training, training and training again. You will notice changes as you will begin to see your surroundings differently. You can not use psychokinesis to harm others, because the development of these abilities is always associated with an increase in spiritual maturity. If you have successfully developed your abilities in psychokinesis, telekinesis or some other form of psychokinesis, a logical question arises, what follows next. We advise you to avoid “the fame”. This will only cause others mistrust and they will think that you cheat. Expect to be attacked, people fear what they do not understand. Reveal your abilities only to your closest friends, people whom you can trust completely. You can always improve your abilities. Continue to train and develop new ways of psychokinesis.